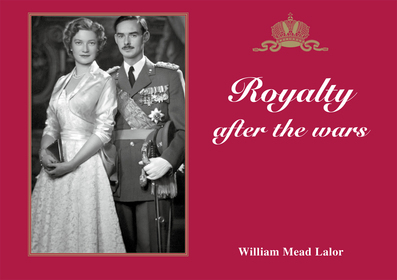 This book was first published in 2001 by Rosvall Royal Books, one of three in a celebrated collection of Royal Pictures by American historian and collector William Lalor. ROYALTY AFTER THE WARS has been out-of-print for a few years, and this re-print has been wanted by many. The new edition is however more than a re-print. The majority of the pictures have been digitally improved with technique that was not available 12 years ago. Also, a dozen new pictures have been added and the text brought up to date. The lay-out is also partially new.